*The Top 5 Trade For/Away, Waivers, etc. will post later today or more likely tomorrow pre-noonET. -- Consider the Rams only had the ball for 22 minutes when you consider cutting the whole offense in fantasy this week. MIN dominated most of the time of possession after the 1st-quarter. The Rams scored a TD on their first drive. Fumbled at the 1-yard line their fourth drive…and were even in time of possession to that point and then fell off a cliff with the Vikings playing well and the Rams dropping passes/missing opportunities to convert. -- Robert Woods (8-81-0/11) has clearly become Jared Goff’s go-to…and it has moved from slightly ahead of Kupp-Watkins to unquestionably so. When in trouble, when in need – it’s Woods. Cooper Kupp has dropped critical passes all season…and cost them huge, twice, in this game. Woods is headed towards every week WR1 status this season. -- Adam Thielen (6-123-1/9) has pushed past Stefon Diggs (4-32-0/6) in a similar manner for Case Keenum…his main go-to. 4.0 rec. for 45.7 yards and 0.33 TDs for Diggs the past three games returning from injury…after starting the season as a top 5 fantasy WR. -- Kenny Golladay (2-52-0/3) had another big/long yardage play this week. He’s probably 2-3-4 weeks away from becoming a WR3 threat, especially in non-PPR. Long-term/dynasty it may be time to trade Golden Tate high – Marvin Jones is being used more and if Golladay starts taking big plays and end zone alley-oops…Tate falls from WR1 to up and down WR2. His targets/output may keep dipping slightly. -- The more Ameer Abdullah (11-22-0) fails as a runner…the door stays open for either Dwayne Washington or Zach Zenner to steal this lead-back job. The Lions are flirting with ruining their playoff chances because they will not switch to Zenner or Washington. -- I love KC losses. I think Andy Reid is slowly starting to figure out that Tyreek Hill (7-68-0/7) is where it’s at…not all Kareem Hunt (18-73-0, 3-4-0/4) all the time. I think we might see more 7+ catch games from Hill from here on in if the other AFC West teams start pressuring KC in the standings…and it looks like they are. Hill was terrific in this game, and still was underutilized. -- Evan Engram (1-9-0/6) had one of those games… Open for a TD and Shane Vereen is somehow throwing the pass (for an INT). Engram had a 30+ yards play…called back for OPI, a touchy one. Eli threw passes too high or too low to him, and Engram dropped an easy/simple one. -- Alex Smith (27-40 for 230 yards, 0 TD/2 INT) is falling back to earth. 3 TD/3 INT the past 3 games. He hesitates on almost every deep throw chance now. You think Brett Hundley looks indecisive…Alex Smith is suddenly becoming that guy…or always was. The Patrick Mahomes era could be a huge debate this season if the Chiefs lost another two in a row…but BUF-NYJ the next two weeks should stop the bleeding. -- Congratulations Samaje Perine (23-11-7-1, 1-9-0/2)…his first 100+ yard rushing game. The Jordan Howard story is unfolding 7 weeks longer than I thought it would take. Chris Thompson carted off the field…Perine has a chance at RB1.5 the rest of the season. -- Josh Doctson (4-81-0/7) is on the verge of breaking out as ‘the guy’ for the Redskins WR corps…but that likely means a WR2-type upside. A potential non-PPR starter every week ahead for some. He’s a TD threat every week ahead. He’s not all the way there yet but he’s growing by leaps and bounds every week. -- I only remember the 3-yard game from Ted Ginn Week 10, but he has 59 or more yards in a game in five of his last 6 games. Ignore the 3-yard game anomaly, and Ginn is averaging 72.2 yards in those other 5 games (with 4.6 catches and 0.40 TDs per game). -- Brett Hundley (21-36 for 239 yards, 0 TD/3 INT) essentially ended his career in this game. I mean, he’ll kick around as a backup but his career is essentially over. I slammed him last week and he was worse this week. 2-QB/Superflex leagues with deep rosters – you may want to grab backup Joe Callahan. I don’t think Green Bay will start Hundley next week or maybe it’s Week 13. Callahan is a QB they’ve ‘liked’ since they breathed life into him a year ago in the preseason but couldn’t hold him on the roster. Callahan is like a Ryan Fitzpatrick-type QB – not the greatest but not so bad. -- Danny Woodhead (1-2-0, 5-21-0/7) was right back in the action returning from injury. Wasn’t a huge output but consider the Ravens got up and just sat on Green Bay. Woodhead is potentially going to get 7-10 catches in games where the Ravens are scuffling to try to win. Flacco can’t wait to toss him passes…it’s worse (better) than how much Philip Rivers dumped it to him. -- Jamaal Williams (18-57-0, 4-38-0/6) had an expected dull performance here – this was his best hope to impress, versus a wobbly Ravens run defense. You don’t use him, unless emergency, versus PITT next week and Ty Montgomery should be back any week as well. -- Corey Coleman (6-80-0/11) had a nice return from injury…this is a big performance considering the Jags cover corners. He’s beyond DeShone Kizer’s favorite target…a WR2-2.5 ahead with WR1 upside weeks…but WR4 possibilities because of Kizer. -- Keelan Cole (3-24-0/6) started out nicely but got dinged up and kinda/somewhat hobbled through the rest of the game. He’s still the starter over Mr. self-proclaimed 200-yards debut Dede Westbrook (3-35-0/6). *Three taps outs in this game/I give up. -- I’m done with Doug Martin (19-38-0, 2-6-0/3). He’s getting all the touches you want from a fantasy RB…and producing nothing with them. He looks fine…it’s this team/offense. He goes to my bench until further notice. -- Kenyan Drake (7-4-0, 1-10-0/2) can look better than Damien Williams all he wants…he’s not getting a push from the coaches since showing he’s the explosive option of the two. Back to the bench, possibly to waivers. -- I’ve said this since Ryan Fitzpatrick was rumored to take over – Cam Brate’s (1-12-0/3) days as a TE1 are over. One catch each game with Fitzpatrick the past three games. O.J. Howard (3-52-1/4) had a good game, but he’s not stealing from Brate…OJH has been a ghost up until this week with Fitzpatrick as well. -- The answer is ‘No’…you should not care about Ricky Seals-Jones (3-54-2/5). A so-so college WR/TE who has serious ‘hands’ issues. Had a nice moment…won’t repeat. Arizona/Bruce Arians barely uses the tight end in the passing game. -- Adrian Peterson (14-26-0, 1-13-0/2) had that big game against the terrible run defense of the 49ers, but in his last three games not facing the 49ers – Peterson has rushed the ball 46 times for 78 yards…1.7 yards per carry. He’s easily stoppable by any decent defense. -- The Bruce Ellington (6-63-0/7) story continues – a season/career high 6 catches. 8-8-7 for targets the last three games. -- OK, the Chargers DST may have been our call of the year…at just the right time. You hold them through Week 12…possible use for some if Tyron Smith is out again Thanksgiving Day. But we hold because Week 13 versus DeShone Kizer!!! -- Austin Ekeler was not much of the plan early in this game. His score happened late in the blowout. I still don't see any real purpose with the Chargers’ usage of Ekeler. -- I assume Kelvin Benjamin (1-20-0/1) will miss at least a game if not the rest of the season. It also looks like Tyrod Taylor is back as the starting QB. Tyrod back, Kelvin out…Zay Jones starts to matter as another WR3 guy (he was on the rise before Tyrod got pulled) and Charles Clay is restored to TE1. -- The Pats DST is kicking in – 6 straight games holding an opponent to 17 points or fewer in the game. We’ve been on this for a few weeks but before you get too confident…make sure Stephon Gilmore is OK to play before you use them as a DST in a given week. He’s the key right now. -- TD passes in games for Derek Carr the 7 weeks: 1-1-1-3-1-1-1. You can’t use him confidently for fantasy right now. Denver next week. -- Rex Burkhead (2-7-0, 4-21-0/6) fumbled early and was removed from the game for a bit…and then the game got out of hand. This weak game is more circumstantial than anything. Not that he’s a must-start guy or anything, but I caution that he’s still a serious TD threat every week. -- Tyler Kroft (2-12-1/3) bailed me out with a TD but all my enthusiasm from a few weeks ago looks like it has about gone down the drain. He was getting nice target counts and producing…then the last three weeks he’s like an ignored 4th-5th option. He’s moving towards TE2 status. I still have hope for him this year and next…but rattled of late. -- Demaryius Thomas (5-64-1/9) did nothing for about 2.5+ quarters of this game and then had a frenzy late. DT only works well with Brock Osweiler…and that’s getting ready to go away, probably next week with Paxton Lynch. If he’s not our #1 ‘sell now’ this week, I don’t know who will be. -- Darqueze Dennard (8 tackles, 1 PD) is still on fire for IDP of late – 7.0 tackles per game, 0.60 PDs his last five games. -- I have never seen a team/unit of a team fall faster from one player being out…that wasn’t the QB. Dallas can’t pass protect without Tyron Smith and cannot stop the run without Sean Lee. A week to alter plans didn’t help much. A serious slashing of Dallas-related things come this week in our projection models. -- This was the Eagles run game plan since Doug Pederson took over…spread it around based on situation and performance. Four RBs were involved in the game…and it’s radically smart for NFL purposes and maddening for FF purposes. You still have to move Jay Ajayi (7-91-0, 1-10-0/1) while people still think he’s great. 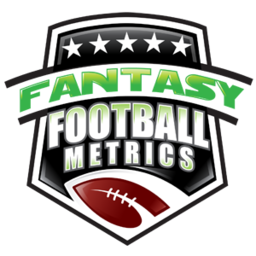 -- Rod Smith (8-11-0) started but Alfred Morris (17-91-0) mattered. I’m not sure how you can trust either week-to-week but likely Morris to matter versus the Chargers who still struggle to stop the run.